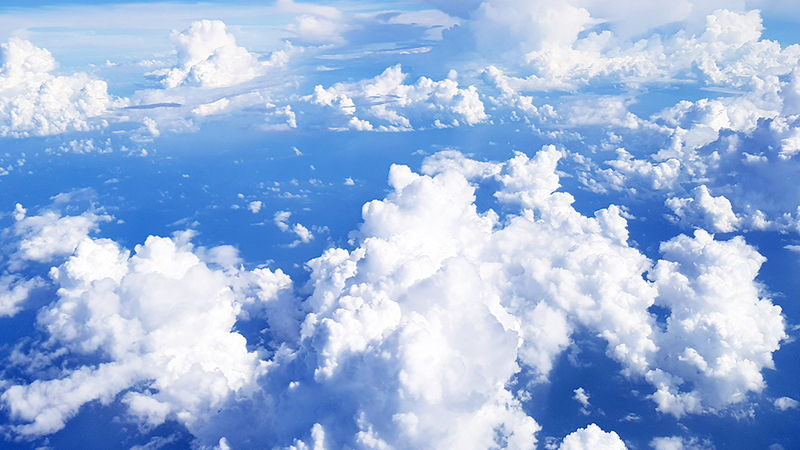 Harvard scientists are planning to inject a small cloud of tiny particles called aerosols into the atmosphere. They then hope to study the behavior of these particles.1,2 This effort, called the Stratospheric Controlled Perturbation Experiment (SCoPEx), is designed to obtain information relevant to geoengineering—an attempt to deliberately cool the climate as a means to fight global warming. In the experiment, scheduled for later this year, a high altitude balloon will release a small amount of calcium carbonate (chalk) into the stratosphere. The calcium carbonate (CaCO3) should spread out, forming a long, thin, cylindrical column of particles. The balloon will repeatedly fly back and forth through this CaCO3 cloud, taking measurements of its behavior. Scientists think that such a cloud, if large enough, could reflect a significant amount of sunlight back into space, causing noticeable cooling on Earth. They have good reason to believe this. The 1991 eruption of Mount Pinatubo in the Philippines belched out a large amount of sulfur dioxide into the atmosphere. Through a series of chemical reactions, small sulfuric acid droplets formed and remained in the stratosphere for quite some time. These tiny droplets reflected enough sunlight back into space to cause a noticeable drop in global temperatures of about 1° Fahrenheit, a phenomenon that lasted more than a year.3 The scope scientists think that the right kind of particles if injected into the stratosphere, could likewise cause cooling by reflecting sunlight back into space. Geoengineering is controversial because of the possibility that we might unintentionally affect the climate in some unforeseen, negative manner. However, this experiment seems quite safe. The scientists are using chalk because it is thought that chalk is less likely to negatively affect the ozone layer. Also, the amount of chalk being used is quite small. Second, this experiment reminds us of how explosive volcanic eruptions, like the Pinatubo eruption, helped cause the post-Flood Ice Age. However, an Ice Age also requires little or no melting of the winter snowfall during the summer months. Over many years, this lack of melting would allow snow and ice to accumulate, forming thick ice sheets. Cooler summers are the key to meeting this Ice Age requirement. Observations have shown that explosive volcanic eruptions can cause slight but noticeable cooling, especially during the summer months.8 So, both creation and uniformitarian scientists recognize that explosive volcanic eruptions can theoretically cause a cooling of the climate. And both creation and uniformitarian scientists agree that past volcanic activity dwarfed any that we have witnessed in recent history. So why can’t uniformitarian scientists definitively claim that volcanoes helped to cause an ice age? The answer is simple: Their belief in millions of years is holding them back. Because they insist that these volcanic eruptions were separated by millions of years, any cooling that those volcanoes might have provided would be so diluted over time that they would have no significant effect on the climate. But in reality, these massive eruptions occurred during the Genesis Flood and in the centuries after. A large number of giant explosive volcanic eruptions occurring during a short time is a potent mechanism for providing the summer cooling needed for an Ice Age. But secular scientists’ belief in millions of years is preventing them from making effective use of this mechanism in their ice age theories. The Bible’s short timescale is…the key to solving many mysteries of Earth history—including the Ice Age. Adam and Eve started it all!